Angels have wings to lift us up and throw our cares away. They deliver our Souls to Heaven where our hearts rejoice each day... until the time is chosen for our earthly souls to join.. there is comfort in knowing they are safe at home with the Lord. 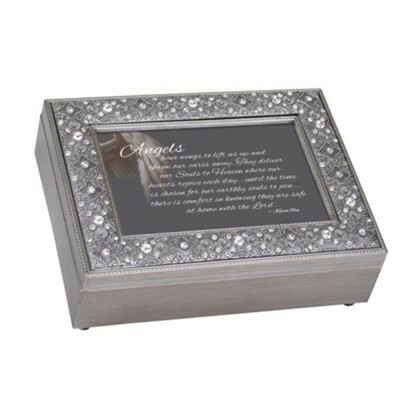 I'm the author/artist and I want to review Angels Have Wings To Lift Us Up, Filigree Music Box.